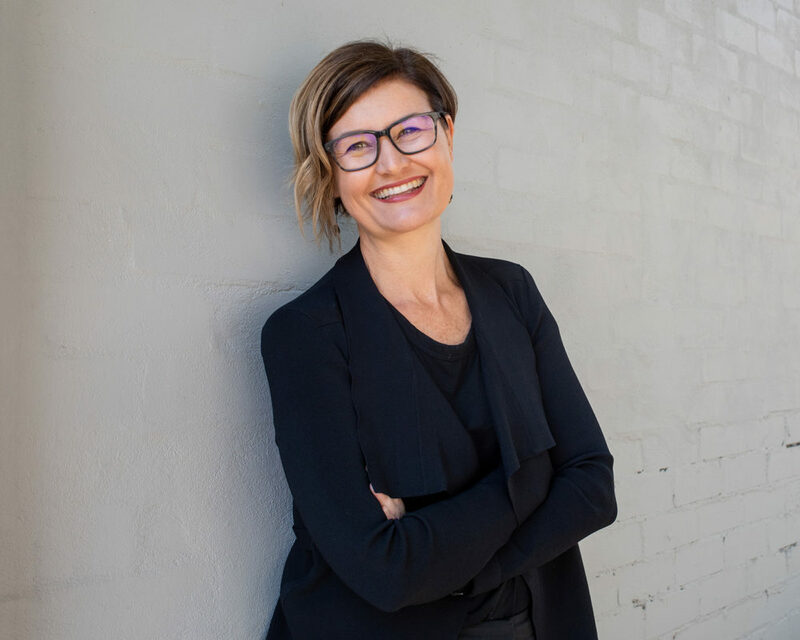 nettletontribe Associate Director and head of the Sydney studio’s Interiors team, Kirsten Prince speaks on her experience with the evolution of workplace design and how it translates to design process. 1. Why is interior design important in the workplace? A well-designed workspace has the capacity to transform and contribute to a company’s commercial success. Providing a great work environment where staff can thrive, will ultimately improve productivity. This investment in the space improves loyalty and retention. 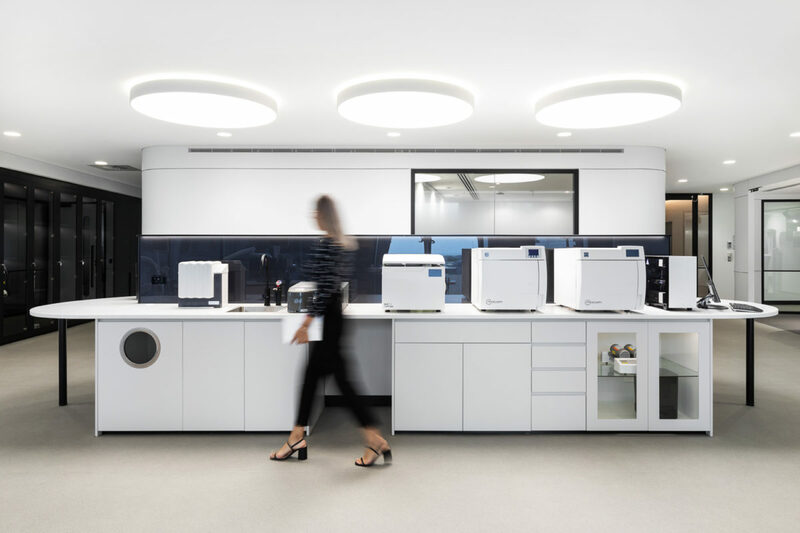 Providing spaces that are tailored to people’s functional needs improves their ability to connect and collaborate, studies show this improves efficiencies and profit. 2. In your view, what makes for a great workplace? 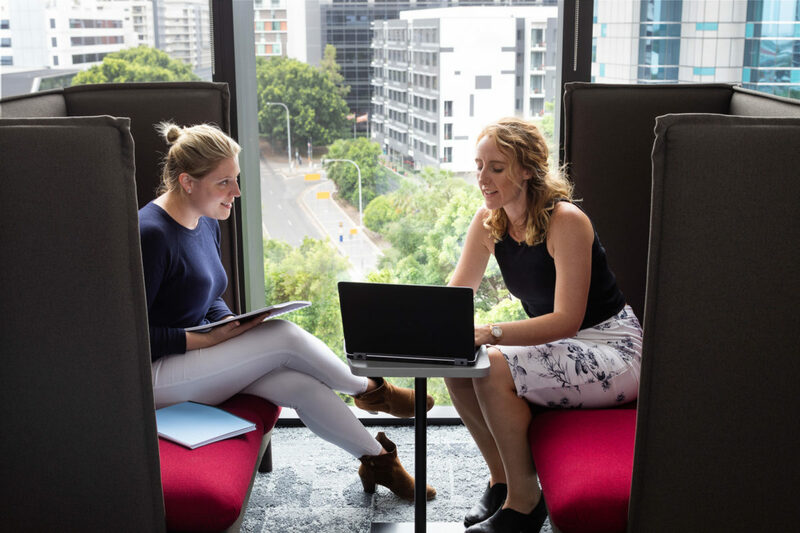 The elements of great workplaces are simple: natural light, good ventilation, thermal comfort, location, happy work colleagues, opportunity to casually collaborate, formal meeting spaces, simple and reliable technology, and a workforce which is well balanced, diverse, inclusive and respectful. I believe successful workplace design responds to the current qualitative and quantitative needs of a company, whilst also forecasting its future requirements. Most importantly great workplace design improves the daily lives of its people. In my experience no organisation is the same, as a design team we interrogate and respond to these needs. The investment in the design process always rewards at the end. Great workplaces provide spaces that respond to the client’s needs of meeting, working, collaborating, bonding and producing, all the while in an aesthetic that communicates the company’s core goals and values. 3. You recently were involved in a project for Henry Schein Halas – tell me about that. nettletontribe interiors’ experience and skill developing workplace strategies was applied to the Henry Schein Halas brief. We defined the aesthetic from the company’s proud past and we influenced the overall functionality. 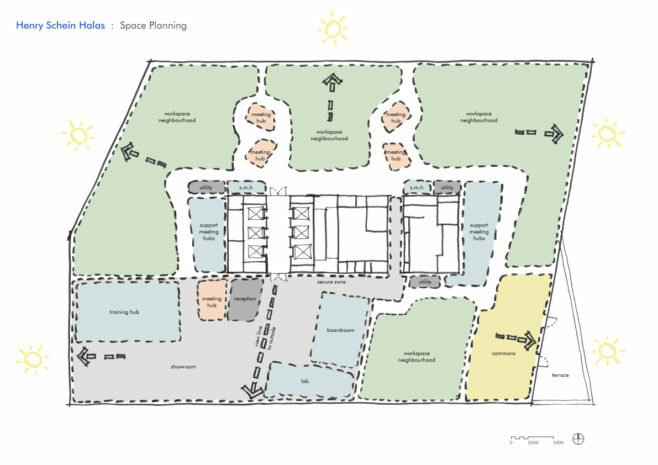 The brief involved bringing together multiple business units and a state-of-the-art display and communal area. The result is a tailored workplace that brings an aesthetic fusion of 1950’s international style and today’s modern agile functionality. Using a foundation palette of white, black and grey, the monochrome was punctuated by shots of textured red and blue to define the groups, the overall look is modern and clean. 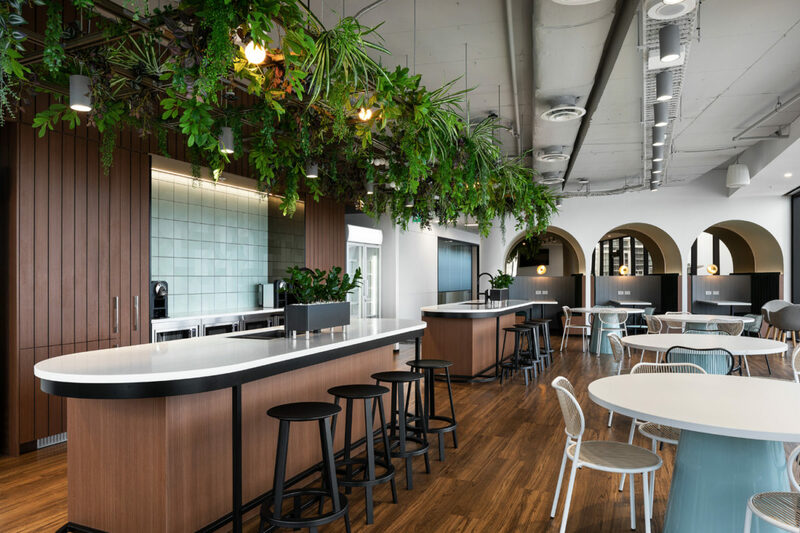 The ‘Commons’ is the communal space calling on the company’s history, using New York Style diner booths and bistro style servery as the centrepiece. 4. Where do you see the future of workplace design headed? Workplace design is dynamic, with fast moving technology and accelerated research into the human sciences, the sector is constantly evolving. Company structures are continually shifting in response to the economies they contribute to. Companies now openly value their staff and see them as talent, they need to provide spaces that attract the best, it gives them the economic advantage. I think, while flexibility is key, productivity rules supreme. 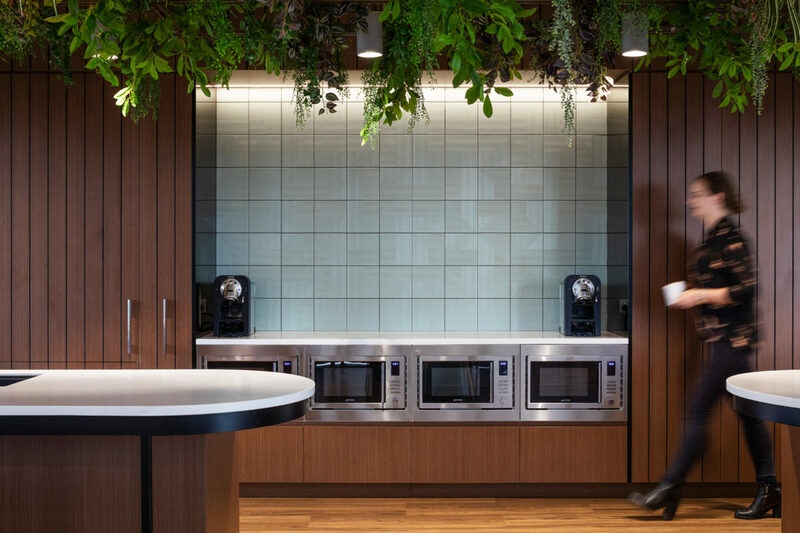 Providing technological, biophilic, ergonomic, sustainable spaces are all in response to the research that shows increasing people’s welfare ultimately improves productivity. Workplaces will become blurred between the social and work aesthetic; people will be working harder to ensure they are valued. As the talent pool grows, positions will decrease, with artificial intelligence and technological automation beginning to take up the workload. Where is the future in workplace? It lies in the structure of a company. I can see businesses relying on a permanent primary core, with agile, highly skilled, supplementary team members engaged periodically to ‘plug in’ when required in the economic cycle/project. The question is how do we accommodate the ‘plug in’? The challenge will be to seamlessly integrate the primary and supplementary. Always addressing the primal need of human interaction, this response is vital. 5. How importance is wellness in the workplace? What role does interior design have in facilitating this? The concept of wellness is essential to maintaining people’s mental and physical wellbeing. The five elements of wellbeing include having a purpose, social support, financial security, community pride and physical health. They are all interlinked. A workplace environment that helps support and address the elements of wellbeing, improves people’s attendance levels and increases retention levels. As workplace designers our specifications matter, selecting low emitting VoC material, improves air quality. Specifying flexible furniture for diverse users and needs improves physical comfort. Working with the lighting design to work with our circadian rhythm reduces eye strain and improves our overall mood levels. I am a champion of wellness in the workplace, it just makes sense. When you value wellness, it improves productivity and opportunities. Addressing the five interdependent elements of wellness, you ensure your people are maintaining good mental and physical wellbeing and therefore improve their capacity and focus. As workplace designers our specifications matter, not only are we selecting and determining the materials and furniture employed, we chaperone the client and facilitate their understanding of wellness and the benefits. 6. What do you love about architecture and design? Being an architect is rewarding. Working on the edge of possibility is exciting. I love working in the team with the broad concepts, always considering the way the user will interact and weaving the threads of the brief into the design. At times the concept can run away, we pull it back in, it’s energising. As the concept evolves in front of our eyes, the final design slowly reveals itself to us, it’s a buzz. Being an architect requires discipline and courage, working the mind on different levels to address aesthetics, science, technology, sustainability, budgets, structures, programs, people and problem solving keeps the passion for good design and architecture alive in me.